The University of Southampton is part of a new ?120 million national network of Quantum Technology Hubs, that will put its cutting-edge research in quantum sensors at the forefront of future technologies to drive the UK's economy. The new network, announced today (Wednesday 26 November) by Greg Clark, Minister of State for Universities, Science and Cities, involves 17 universities and 132 companies. It will be funded by the Engineering and Physical Sciences Research Council (EPSRC) from the £270 million investment in the UK National Quantum Technologies Programme announced by the Chancellor, George Osborne in his Autumn Statement of 2013. Greg Clark, Minister of State for Universities, Science and Cities said: “This exciting new Quantum Hubs network will push the boundaries of knowledge and exploit new technologies, to the benefit of healthcare, communications and security. “This investment in Quantum technologies has the potential to bring game-changing advantages to future timing, sensing and navigation capabilities that could support multi-billion pound markets in the UK and globally. The network consists of four Hubs, which will be led by the universities of Birmingham, Glasgow, Oxford and York. 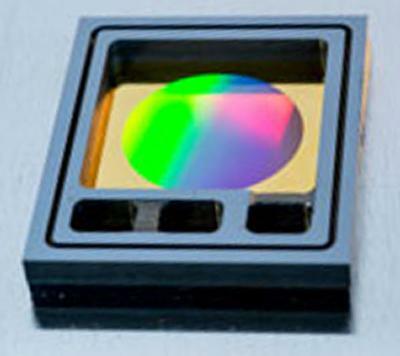 Southampton scientists from Mathematical Sciences, Physics and Astronomy and the Optoelectronic Research Centre (ORC) will work across two of four Hubs, to develop quantum mechanical sensors and information processors and translate their research into prototype devices. Southampton will receive £6.4 million, to invest in new equipment and research funding for Postdoctoral Fellows and staff time. The research will produce new generations of motion, gravity and electromagnetic field sensors and information processing devices that use the quantum mechanical properties of light and matter, rather than conventional electronics and optics. Applications include ultra-precise navigation, civil engineering, medical imaging, security scanning and complex multi-variable computation.